Golden fava shoots are topped with fat, rounded leaves. 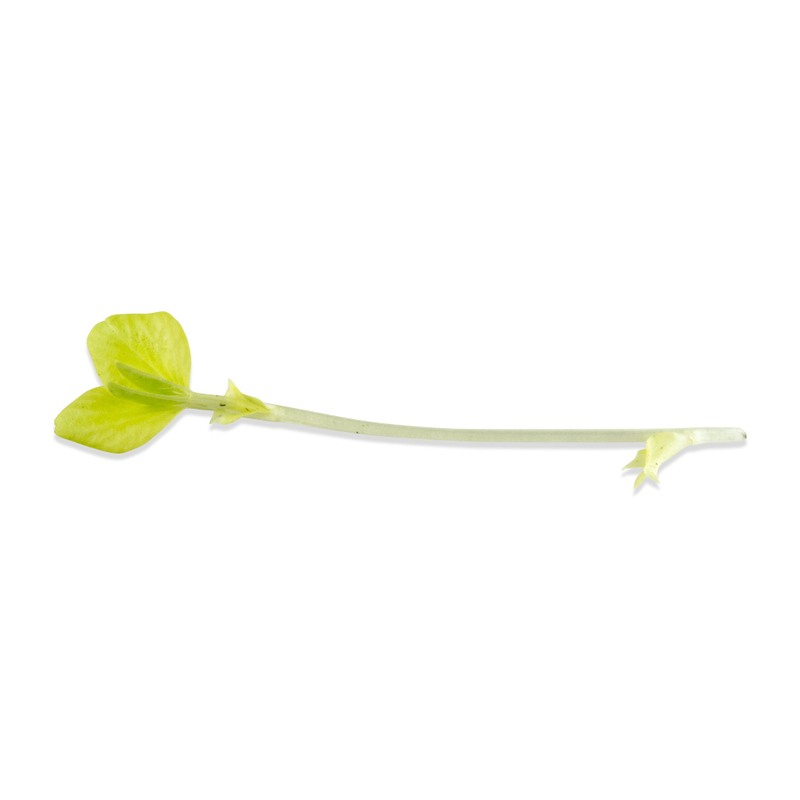 They have a refreshing lettuce-like flavor and can be used to garnish salads, sandwiches, and most other savory dishes. 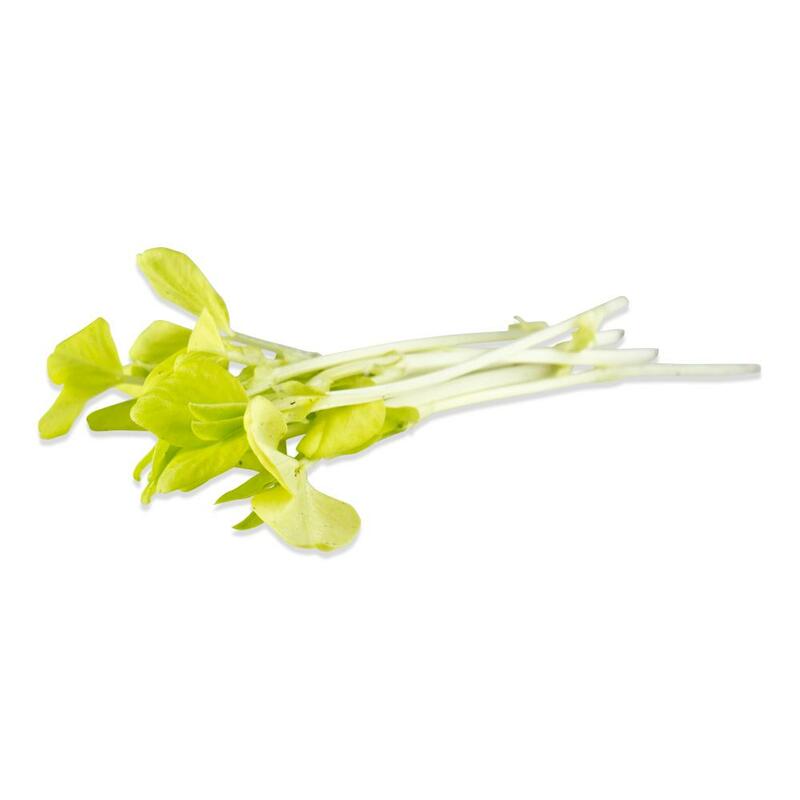 Store fava shoots in your refrigerator in their plastic clamshell. Note: Extended periods of light exposure can change these shoots’ color from gold to green. Use gold fava shoots stacked, piled, or otherwise arranged as a garnish. Besides putting them on top of food, you can arrange them below food as a flavorful bed for meat, poultry, or seafood. You can also add fava shoots to salads. Use them instead of sprouts or lettuce on sandwiches to give them a more elegant appearance and interesting texture.